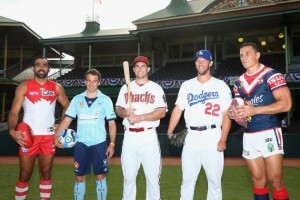 The regular season for Major League Baseball opened down under when the Los Angeles Dodgers played the Arizona Diamondbacks. 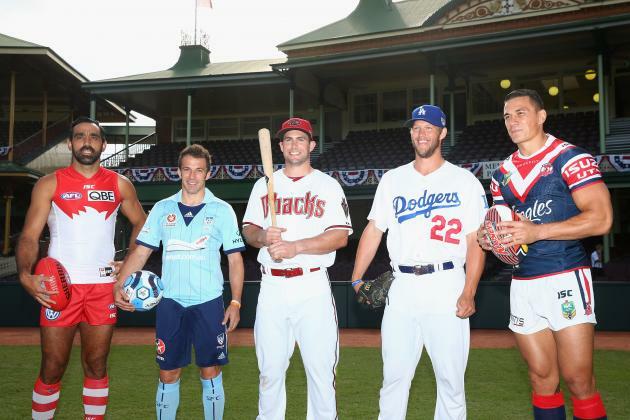 Opening the season in Australia had little effect on a near certainty in baseball: Clayton Kershaw’s pitching dominance. Kershaw was able to pitch on Saturday into the seventh inning leading the Dodgers to victory over Arizona 3-1. Kershaw is expected to be dominant, but the offensive star for the Dodgers was not as predictable. The Dodgers took a lead of 1-0 in the second thanks to a double by Scott Van Slyke. He then hit a two-run home run to the opposite field during the fourth inning. He had both run scoring hits against Arizona’s starter Wade Miley. Kershaw allowed one run in his 6 2/3 innings of work. However, for the talented southpaw it was one of this worst Opening Day’s of his short career. Entering the game, he had not given up a run in his 19 innings in his previous opening day starts. The best chance the Diamondbacks had to score came during the first inning. They received two straight hits by Paul Goldschmidt and Aaron Hill. However, Kershaw was able to work out of the inning. After that, Arizona managed only one runner in scoring position the rest of the time Kershaw pitched. Van Slyke helped Los Angeles take the early lead after first baseman Adrian Gonzalez walked. Van Slyke hit a curveball from Miley that looked as if it would leave the ballpark, but was held up by the wind. Trumbo looked somewhat foolish on defense in left as he raced to the wall and scaled it getting ready to rob Van Slyke of a home run, but the wind stopped the ball and it bounced off the wall. Andre Ethier then hit a RBI groundout scoring the Dodgers’ first run. Gonzalez reached base again during the during the fourth and Van Slyke then hit his home run to the opposite field. The Dodgers are predicted to win the National League and the World Series title this season. Los Angeles has one of the best starting rotations in baseball on the mound.